This week I’m introducing Emily Wendell, author of The Inventor series. 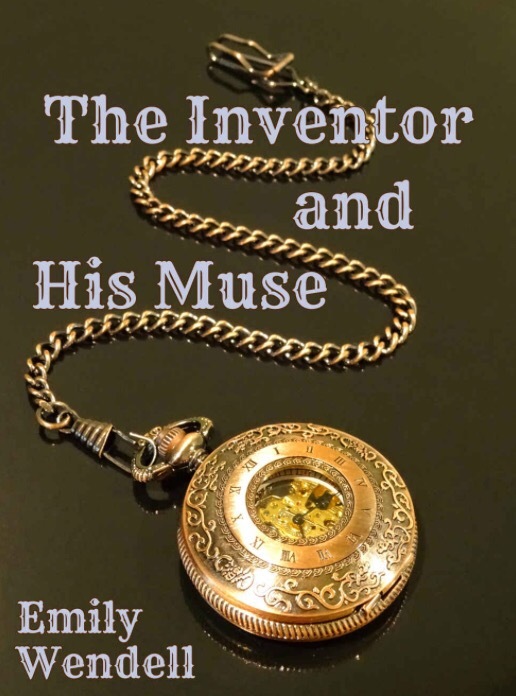 They’re steampunk romance and the first book, The Inventor And His Muse, is available now. The year is 1855. Since the Great Exhibition, steam has taken the world by storm and destroyed Gemma Hayslip’s engagement. It’s fine; he clearly wasn’t good for her. Her life returns to the mundane until a man from New London, who is a Lord of somewhere, falls out of the sky (literally), promising to make her rich if she’ll come back to New London with him. With two younger sisters and a failing farm, Gemma agrees to Lord Winston Winchester’s terms. Caught up in his web of power, Gemma finds herself in an inventor’s paradise until someone starts threatening their lives. Now, Gemma and Winston must outsmart a killer before she loses everything she was trying to save. My name is Emily, and I live in San Francisco. I have a degree in computer science, so I’m a pretty technical person. I enjoy seeing the confusion on people’s faces when they find that I also write sci-fi/romance. I’m currently working on the third book in my Inventor series. It’s a Steampunk series set in New London and follows a group of inventors. It’s the last one in this story arc and with these characters, so I’m slow writing it as I don’t want to say goodbye to them yet. My mom always read to me as a child, so I don’t remember a time when I wasn’t obsessed with books. I loved the stories and their silly characters. As a kid, I liked The Cat in the Hat (really anything from Dr. Seuss). As I grew older, I loved the Goosebumps series. Little Brother by Cory Doctorow. It’s an empowering and enlightening book, and I was not expecting it to blow my mind as much as it did. I highly recommend it. Heir to the Empire by Timothy Zahn is the last book I read. My current favorite is The Night Circus by Erin Morgenstern. Jane Austen. She’s written several of my favorite books, so it would be interesting to talk to her about them and her life. Despite writing short novels in high school, I didn’t really consider myself a writer until college. That was when I started taking it more seriously, becoming more descriptive and learning how to create emotion in my stories. I paid more attention to plot and crafted deeper characters and themes. When I was a kid, I wrote a few pages about a girl, her sister, and her crush. I remember that she wore a fuzzy sweater and they went ice skating, but that’s it. I thought I printed it out, but it was either lost in a move or was thrown away as I’ve never been able to find it. The most difficult part is putting my writing out there. Novels are such personal works, pieces of our souls, so it’s tough exposing that to everyone and receiving criticism. The best part is the writing itself, the excitement when inspiration strikes and my fingers fly across the keyboard. I love all my characters, and I enjoy spending time with them. Just write, even when you aren’t inspired. It’s almost forcing yourself to write, but that’s the only way to create a habit. Creativity breeds creativity, so you can’t give up or wait until you’re inspired to write. You have to try every day or a few times a week. The Inventor and His Protege is my current WIP. As I mentioned earlier, it’s the third book in my Inventor series, and it’s going pretty well. Book 2 (The Inventor and His Scourge) is being reviewed, so I may have edits for that, but it’ll be published hopefully before the end of the year. I also have other WIPs to edit and of course a million new story ideas, haha. The ideas never stop. It’s a mixed blessing. I play a lot of video games and enjoy watching sports. I’m a big Star Wars nerd and love most things sci-fi. I also attend a lot of comic cons and cosplay. History! I love learning about different time periods, civilizations, and cultures. It’s fascinating and why most of my novels take place in another era. I spend a lot of time researching and hope to be able to travel more in the future. Oh, this is tough. I’m watching a show on Egypt, so that would be at the top of the list. I would tour the pyramids and see all the monuments and temples. Thanks for having me, and thanks everyone for reading! Thanks for sharing a bit about you! I can’t wait to read more about Gemma and her adorable Winston! If you’d like to read Emily’s book you can find it on Amazon. And keep an eye out for the second book, The Inventor And His Scourge.